Cappella Regalis makes good—not only sacred—music. A percussionist by training, Nick Halley has always had deep ties to choral music. "I sang in a mixed children's choir down in Connecticut as a boy," he says. "Drumming and baseball were my singular obsessions, but my earliest memories of getting the chills from music come from singing in that choir." Nearly two decades later, Halley began assisting his father, Paul, in the choral work that he was doing. One year after his father moved to Nova Scotia, Halley followed and founded Cappella Regalis, a men and boys choir focused on both performance and mentorship. 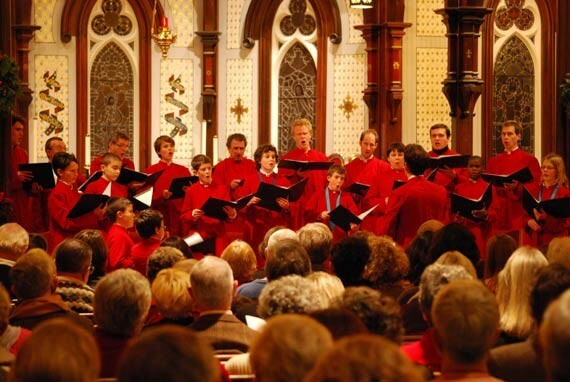 Cappella Regalis aligns itself with the mandate of Musique Royale, a Lunenburg-based organization that has been promoting and presenting classical music in Nova Scotia for 30 years. "Musique Royale has as part of their mandate not only the promotion of classical music performance in Nova Scotia, but also music education," says Halley. He explains that Barbara Butler, executive director of Musique Royale, immediately saw the educational potential in Cappella Regalis. "Barbara is, to me, the great impresario of music-making in our neck of the woods," he says. "I fantasized that she would actually think of joining my board, and she did. At that point, we decided that Cappella Regalis should come under the wing of Musique Royale." 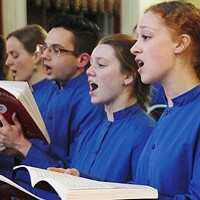 As a part of Musique Royale's 30th season, Cappella Regalis will be touring Cape Breton before returning to Halifax for a concert Wednesday, June 29 at the All Saints Cathedral. Halley says that the concerts will feature both sacred and secular pieces, with the choir winding their way from Gregorian chant to 20th century music. The choir serves up another helping of Italian composer Monteverdi.